Summer 2018: The Mobley device seems to have been removed from AT&T's site entirely and no longer available for sale directly from them. 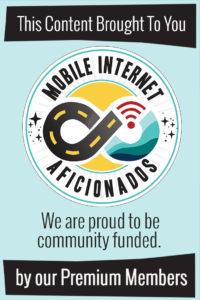 We also are getting sporadic reports of the Connected Car $20/month plan being activated for new customers again who do obtain a Mobley. 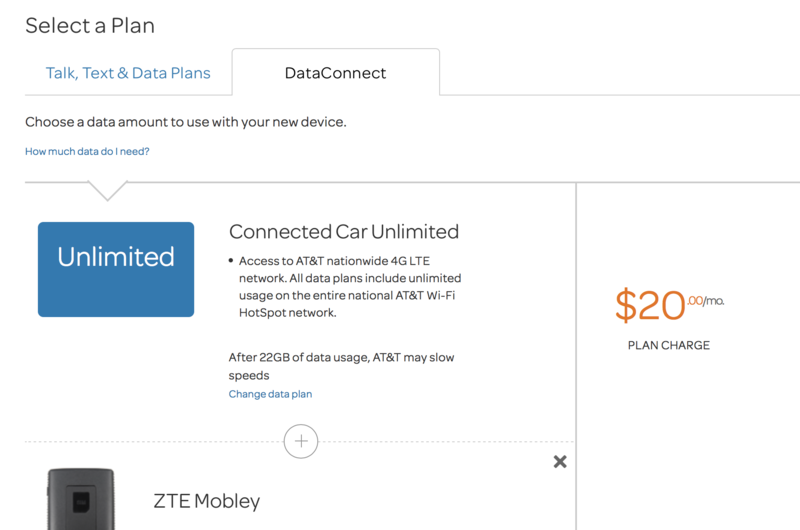 Late 2017: AT&T has removed the fine print from the Mobley device page that included the $20/month Connected Car plan as a data plan option. The stated available plans are now: "Rate Plans: Requires AT&T Unlimited Plus or Choice, Mobile Share Advantage or DataConnect 1GB or 5GB plan." It seems officially aftermarket devices like the Mobley can no longer be activated on this plan and the option is gone from the online ordering process. While some reps still had access to the plan up until early December, that option now seems gone too. 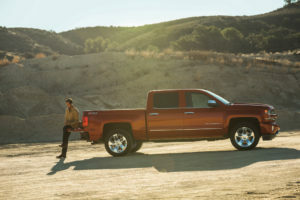 Existing customers are grandfathered in for now, and the plan is still available with the built in OnStar system in select vehicles. Since 2015 most new Chevy, Buick, GMC, and Cadillac vehicles have come with "OnStar with 4G LTE" built in - adding an AT&T-powered Wi-Fi hotspot capability to the classic car-integrated OnStar security and navigation features. Recent model Chevy owners now have access to an unlimited data plan for only $20 per month. The basic idea is to keep your passengers entertained and online while underway. But the rather limited and expensive data plans made this a worrisome prospect. A backseat full of kids each streaming their favorite show could blow through a data plan FAST after all! To address this concern - yesterday (March 3rd, 2017) Chevy and AT&T began offering a new unlimited data plan for Chevy's with LTE OnStar built in. Now you can use as much data as you want, for just $20/month! You need to have a nearly new Chevy. The hotspot is only functional when the key is in the ignition, not all the time. For RVers who are more concerned with data while stopped than while underway, this is a deal-killer. But fortunately, there is an alternative - the ZTE Mobley. With AT&T's Mobley Connected Car device installed, you can now get the same ridiculously cheap unlimited data plan - with no Chevy required. And if you know what you are doing, you don't even need to keep a key in the ignition to stay connected - letting you stay online 24/7. First Off - What is a Mobley Connected Car?!? 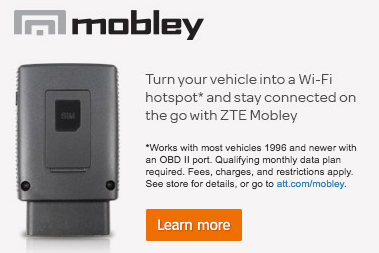 The ZTE Mobley can plug into the ODB-II port found on most vehicles manufactured since 1996, connecting them to AT&T's network and allowing up to 5 other devices to connect to the in-vehicle hotspot. The Mobley is a small $99 device designed to plug into the OBD-II port found under the dash of most modern cars. When the key is in the ignition - the Mobley comes alive, creating a Wi-Fi hotspot to get 5 devices online while the vehicle is underway. The Mobley isn't anything new - we wrote about it last May when it became the only "official" way to get unlimited hotspot data on AT&T. But in the past to get an unlimited Mobley plan required also having an unlimited smartphone line with AT&T, and you also needed to be a DirecTV subscriber. 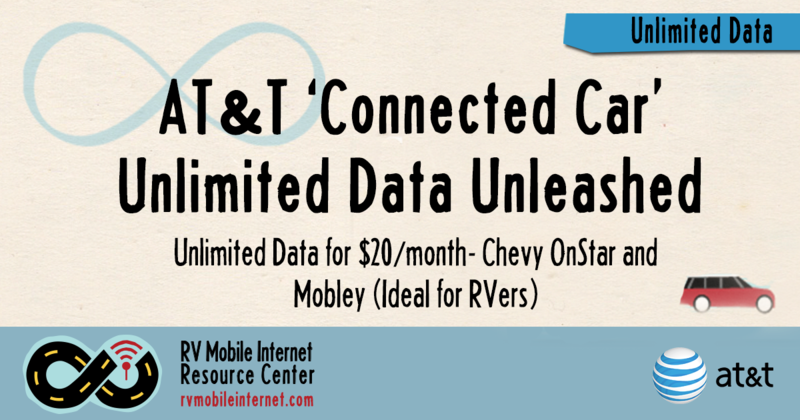 In the past few weeks AT&T has dropped both those requirements - and now AT&T has a promotional offer going until July 17th* for a "Connected Car Unlimited Data Plan (standalone)" that does not require DirecTV or any other AT&T plan at all to activate a Mobley. The standalone plan initially launched at $40/mo - and now AT&T has dropped it to match the Chevy pricing. July 17 Update: This date has come and gone, and so far - the plan is still avialable if you can find a device in stock! Mid-September Update: We have gotten several reports that AT&T reps are telling folks that plan expired sometime in mid-September (we've heard everything from Sept 18 - 23). Late 2017 Update: While activation still sporadically occurred after the September retirements on the Mobley, by mid-December it seems no longer possible. 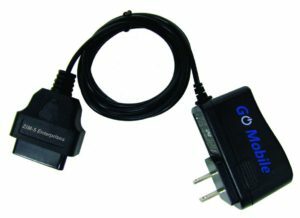 This adapter will allow you to plug a Mobley into an AC power jack, no special under-dash OBD-II port required. Most RVs lack an easily accessible OBD-II port - and even if you have one, who wants internet that only works while the engine is running? But - there is a way around this that enables the Mobley to run 24/7! Instead of using the OBD-II port, you can instead get an adapter that will power the Mobley directly. If you're comfortable, you can hack together an adapter on your own for a few bucks, or you can purchase one from someone who has done them. You can find AC, 12v and even USB powered ones on eBay & Amazon (just search 'Mobley adapter') - making it easy to keep a Mobley powered anywhere there's power available. We've even seen some folks hack together an external battery (video link) for the Mobley. With the Mobley powered on continuously - you then need to change the default device settings to keep it from falling asleep every 2 hours. Once you do this, you have enabled 24/7 usage! One other big catch with the Mobley is that it is a relatively limited and out of date hotspot relative to newer AT&T devices like the Netgear Unite Explore. In particular, the Mobley does not support LTE Advanced carrier aggregation, so it will be slower than other modern AT&T devices in the same locations. The Mobley also lacks support for an official external antenna. A cellular booster is the only way to officially enhance the signal (the weBoost 4G-S cradle booster at $179 is a great entry level booster). And there are folks sharing physical hacks for wiring into the internal antenna. And you can only have five simultaneous Wi-Fi devices connected to the Mobley directly (the generic Canadian VM6200 allows 10), unless you add a Wi-Fi as WAN router to repeat the network. And like most AT&T plans, the Mobley Unlimited plan is subject to "network management" slowdowns after 22GB of usage in a month. 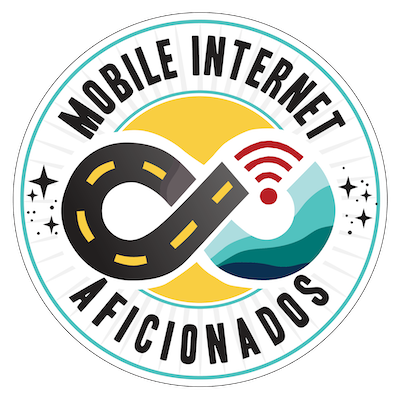 The unlimited Connected Car plan is also for US use only, and will not work internationally at all. And there is a 100mb per month cap on domestic roaming onto other carriers. But - people experimenting with the Mobley have been getting good speeds overall, and have not noticed much network management issues so far. Our MIA members got tipped off about this plan two weeks ago, before the Mobley became widely sold out. FAQ: Can You Transplant a Mobley SIM? As per AT&T's terms of service, the Connected Car plan is only available for "qualified devices & vehicles". What AT&T defines as qualified devices was left nebulous. 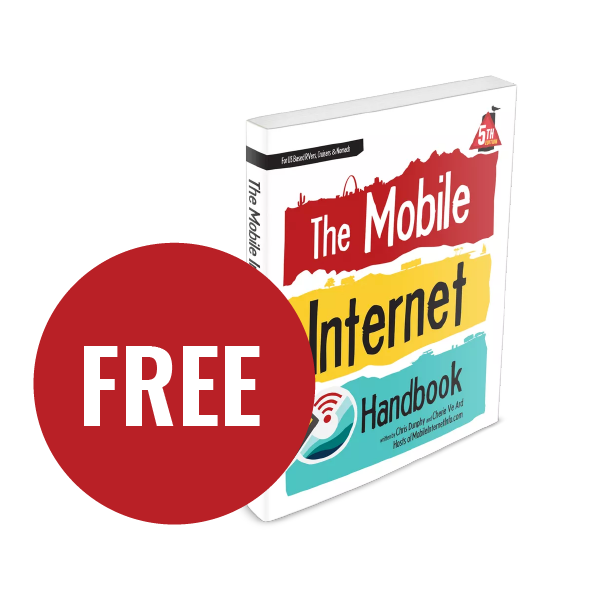 The plan was never offered for general mobile hotspots, tablets or other such devices. AT&T can detect if the SIM card is moved into any other device. However, we have heard no reports of AT&T blocking service if you move the SIM card into another device. We continue to keep our ears out for AT&T making any moves to define what a qualified device is or enforce their stated terms of service. If you decide to move the SIM card from the Mobley to a different device - just know there is a potential risk in the future that AT&T could block service or terminate your account. ATTN Mobley/Connected Car: Use in Other Devices? December 2017: See status update above - we believe this plan to no longer be officially available for the Mobley device. If already you have a multi-line AT&T Unlimited Plus plan, you can add a mobile hotspot or Connected Car device (like the Mobley) onto the plan for $20/mo - it would essentially the same unlimited plan, but include Canada & Mexico coverage. If you have this option, we recommend adding the Unite Explore (or the newer Netgear Nighthawk) mobile hotspot instead of the Mobley. They are better all around devices (antenna ports, carrier aggregation, support for more devices, no power adapter needed, etc.). At $199.99, it's not that much more expensive than buying the Mobley and getting a power adapter. 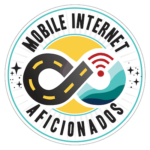 December 2017 Update: While the Mobley Device is still available for purchase online, the Connected Car $20/month plan has not been available for selecting online since September 2017. 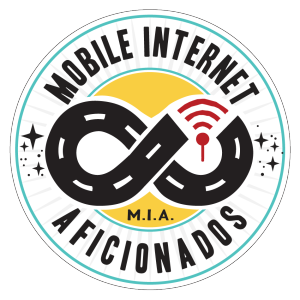 We had been getting sporadic reports of folks reaching the Connected Car department and activating service on a Mobley they already own, but as of mid-December those reports dried up and AT&T insiders have confirmed with us the option has been removed from internal systems. - Go to the Mobley Order Page from the AT&T Connected Devices section, and click 'Continue'. - Choose either the 2-year contract or purchase the device for $99, accept or decline the the insurance. - On the next screen - select your plan. (The $20/month option is no longer available via this method - but if you select the minimal plan you might later be able to find a rep who can switch you to the Connected Car $20/month unlimited plan). Shipping Tip: Even though the check out screen will allow you to select a different shipping address than billing address (which is frequently the case for RVers on the road) - we highly recommend having the device shipped to your billing address. AT&T has a track record of suspending orders for 'identity verification' when shipped to a different address - requiring you to appear in an AT&T store with identification. Skip the hassle, and just ship to your billing address and have the package forwarded on by who ever is handling your mail. ZTE VM6200 is the Canadian model number for this device, and you may be able to find one unbranded to AT&T that you can activate. Novatech - Has them in stock from time to time, usually priced just a bit more than retail. If you ordered online: If you're able to obtain the device from AT&T's website, the plan should be automatically setup and activated upon arrival. You'll just need to setup your online account to manage the billing. But if you obtain the device elsewhere (considered BYOD - Bring Your Own Device), you will then need to get the plan activated with AT&T. Also expect that if you have purchased a Mobley outside of AT&T you will need to obtain a SIM card from AT&T. 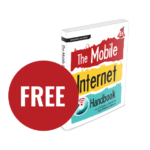 BYOP/Online (Nov 2017 - no longer works): The easiest is way is online, using AT&T's BYOP page - just enter in the IMEI if your Mobley or VM6200 device, and you should be presented with the $20/month Connected Car option. Your seller may be able to provide this information to you before shipping. You will also likely need to order a SIM card to be mailed to you, which is free and can be done during this process. BYOD/In Person: (Note: as of mid-September, we have gotten several reports of the plan not being able to be activated by any AT&T representative - being told the plan was discontinued). If you choose to call AT&T or visit one of their stores instead, make sure you request the STAND-ALONE Connected Car plan for $20/month - not the Unlimited Plus plan. This is a postpaid plan, so thus you will need to pass AT&T's credit check (those who can't may be asked to put up a sizable deposit.) Most representatives at corporate AT&T stores or their central call number do not know about this plan. Many have reported back that they have had the best luck calling the Connected Car department directly at 866-595-1222, instead of the general AT&T line. And others have been able to get representatives at Best Buy stores to set up the plan. Expect challenges and possibly having to go through multiple representatives until you find one familiar with the plan to get this setup. Our members have additional exclusive access to some additional information on this plan. Stream Saver: Slow Speeds with Video?